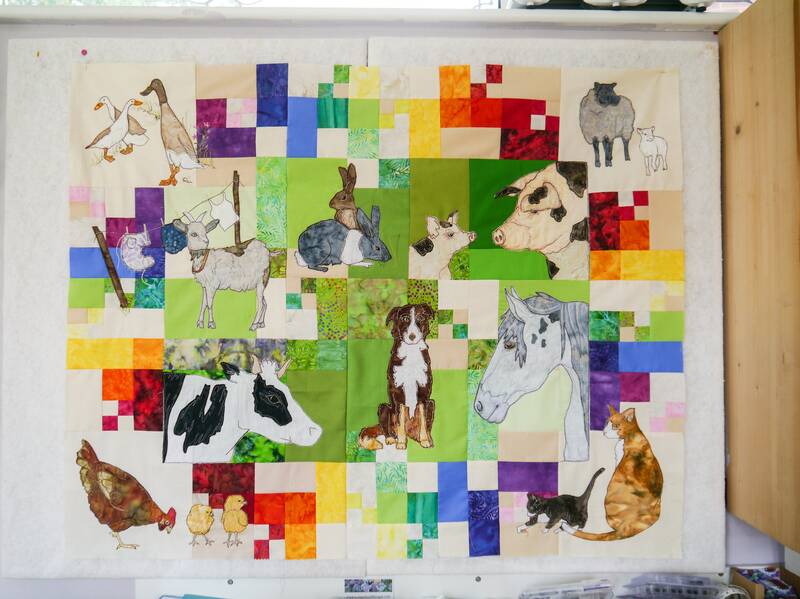 This is the first of six patterns to make the Farmyard Rainbow Quilt. 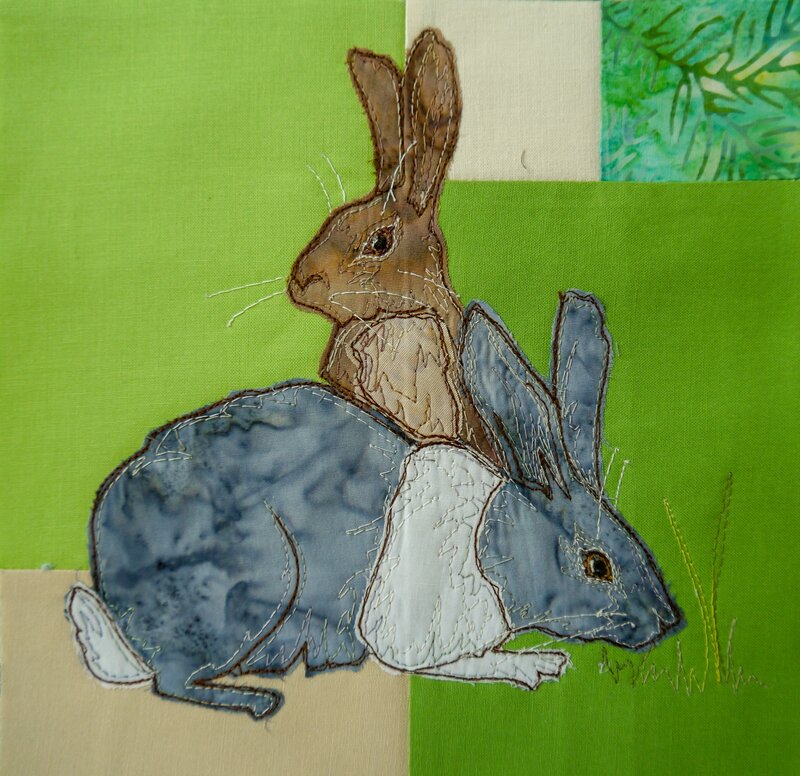 In this pattern we will make the rabbit pair block, measuring 8 by 14”, plus one little four-inch square patch, which we will need later to help join the blocks together. The quilt measures 32 by 40” when complete. The six blocks are different sizes and so will be different prices varying from £15 to £30 for the largest blocks (those which contain two embroideries). The quilt itself is in my usual style, so it is a patchwork background with raw edge applique sewn with free motion embroidery. You don't need a fancy machine to sew it but your machine needs to be able to do free motion embroidery. The pattern contains basic instructions for the patchwork. 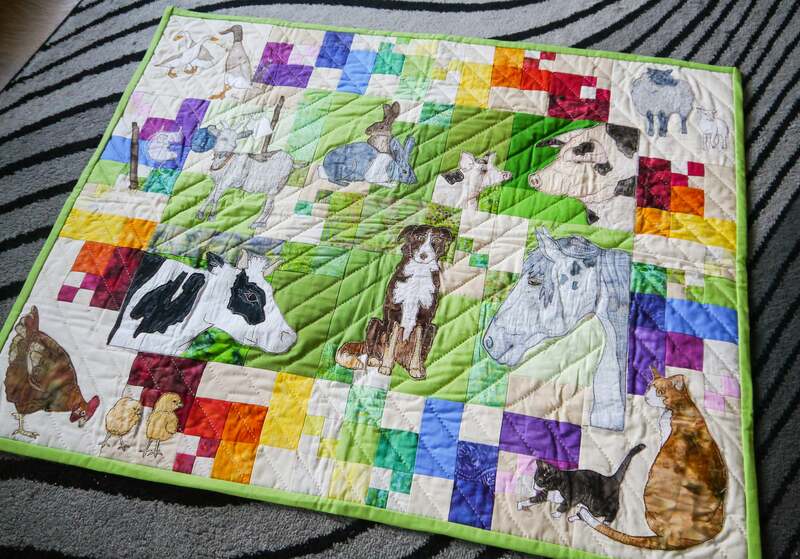 I don't go into a lot of detail on patchwork as I am assuming that you know the basics but other than the odd four square, it is all pretty simple. I am based in the UK and I am happy to ship worldwide. Hopefully that all makes sense, but please don't hesitate to ask if anything is unclear.